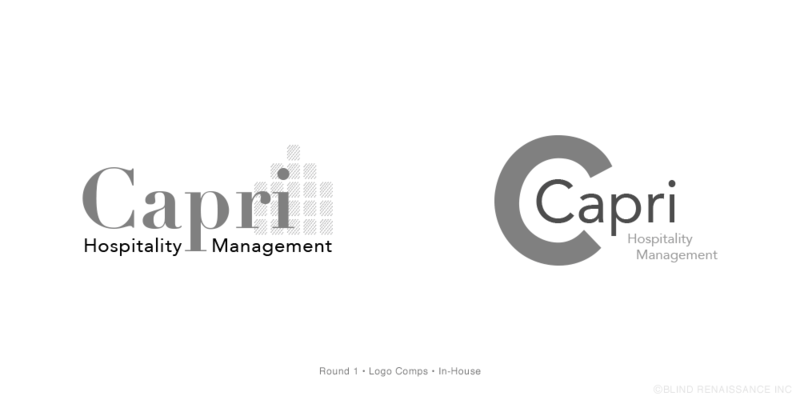 Capri Hospitality Management — Blind Renaissance, Inc. Preliminary concepts focusing on an abstract hotel structure and the "C" of Capri. A variety of color concepts shown to client to determine the style of their brand. The clean, modern logo transitioned to the business cards using the bold orange and bar element. Web design focusing on the bold, colorful hotel interiors while using the orange of the logo to call out navigation and headlines. 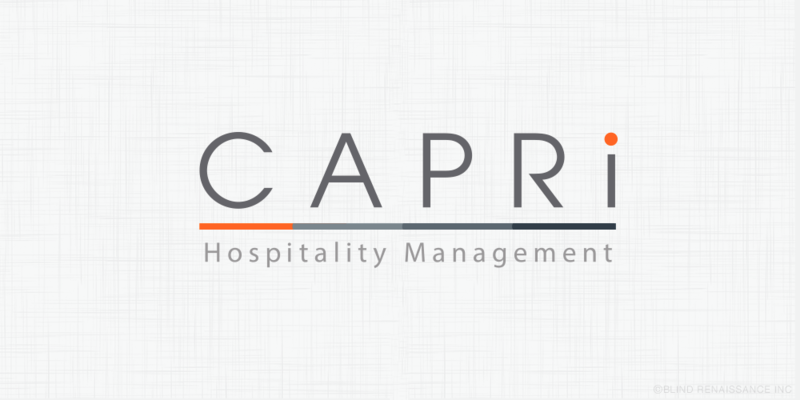 BR worked with Capri Hospitality Management to develop a logo that emphasizes Capri's passion to be recognized as a highly-respected industry leader in hotel development and management. By developing a clean, flat logotype with a bright, eye-catching orange accent, BR emphasizes Capri's dedication to creativity and professionalism while providing their guests with a welcoming atmosphere. 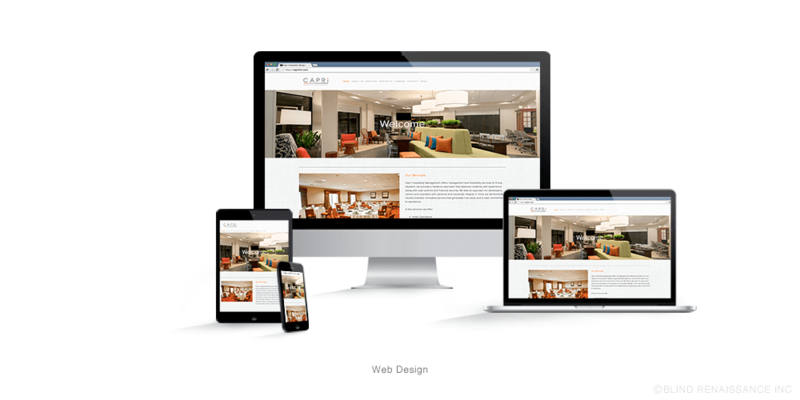 By keeping in mind that Capri wants to connect with both potential hotel employees and guests, the simple linen textured background used throughout the website emphasizes a welcoming atmosphere. The bright pops of orange help to add emphasis on information across Capri's main pages. Capri's website has a clean design that invites visitors to learn about who they are, what they do, and how you can apply for positions at their different hotels.